Composed of extremely thin, flexible (18-8 stainless steel) electroplated fine alundum particles. Ideal for trimming and finishing interproximal surfaces; they will not stretch or break. Sterilizable. 133mm length. 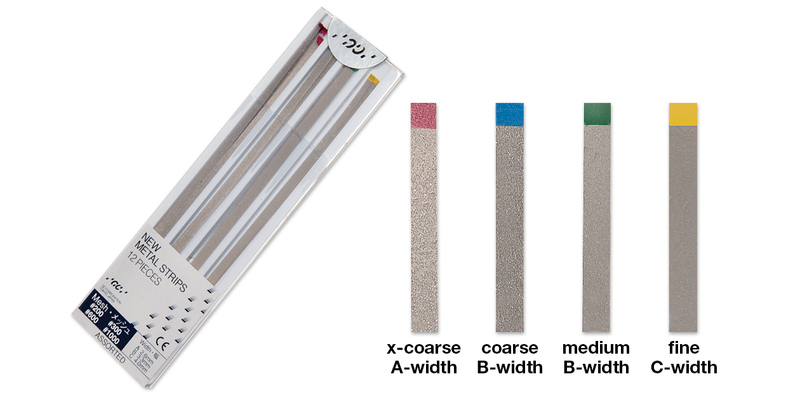 Contains: 4 each A, B, and C widths. Contains: 1 strip of each width and mesh.